We are a tribe of coaches and consultants supporting iconic, world-enriching companies. 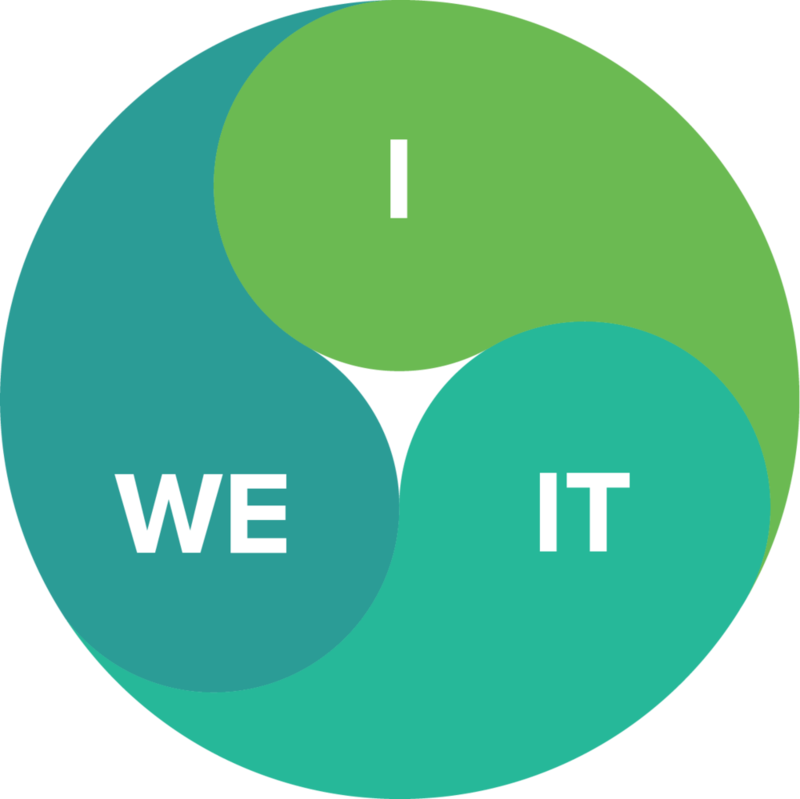 We believe that developing consciousness at all levels of the organization: the individual (“I”), the relational (“We”) and the procedural and structural (“IT”) is the key to driving outstanding, sustainable results and increased benefits for all of a company’s stakeholders. Evolutionary businesses recognize the interconnectedness of the I-, We-, and It- dimensions. A change in leaders’ levels of consciousness affects interactions between individuals and provides subtle yet transformative cultural shifts. Creating alignment in organizational structure, processes, systems and governance with the overall essence of a business ensures the business will maintain its course and successfully achieve its purpose. We believe that business is a force for good, specifically through change within individuals and in the greater world. And we know that deep change comes from an understanding of what drives the actions that support the results of each individual, team and business. By uncovering these belief systems and other aspects that lie within the core, a truly sustainable change can occur. We know that many individual, group, and organizational change efforts fail because beliefs don’t shift to support the change. 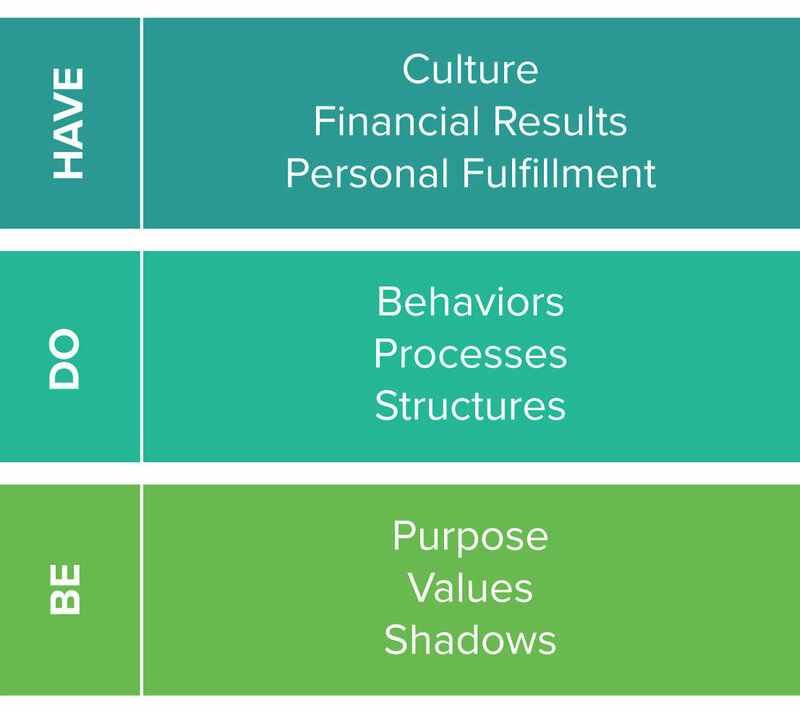 We also know that to create lasting transformation, a shift in beliefs has to be supported by a shift in behaviors with rigorous accountability. This allows for sustainable results. Read on for how we see change occur. We call it Be-Do-Have.